If you've been to the Luna Adoption Agency recently, you'll have noticed the awesome new shopkeeper! We thank demon for her amazing art skills once again. Check out the amazing new Meaos, all thanks to our equally amazing artist, demon! Also, we thank her for the other recent items too!!! Also, Beanie Trophies are fixed! Profile Trophies are fixed! And you can now get trophies for collecting Avatars! (Rewards page will be added soon) So anyone who has already achieved the needed amount for the trophies, message me! 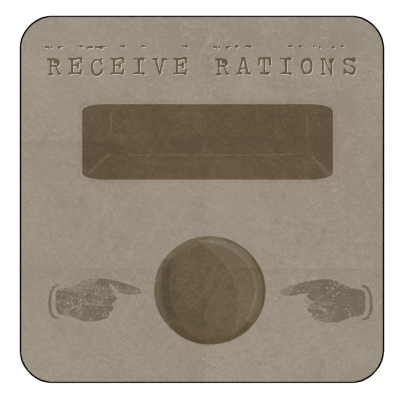 There is a new ration! After a recent trip to the coastal settlement Callie "discovered," we have had several of these Albus come closer to our community, they appear to be very friendly and are happy to become pets. We thank Kyle for designing this, and Yang for drawing it! First place goes to restricted with 24 referrals! They won 50000 dPs! Second place goes to zin with 13 referrals! They won 25000 dPs! Third place goes to psychicxwolf with 10 referrals! They won 12500 dPs! Disappointed with not getting any prizes? Then get referring for this contest! The current Referral Contest will be ending on the 1st of October! So get referring for your chance to win some prizes and trophies!!! Anyone who still has 9 pets who hasn't contacted the Admin team by 23rd September 2010 will just have 1 of their pets deleted. Mmmm, these Crescent Pops sure do look tasty! You can find them in the Food Store! The Theron, Spinks, and Anubi have received redraws thanks to our artist, Zin. Kyle's Ambie shall be created into a pet.